We’re glad you’re here to learn about how you can improve your health. You can lower your risk for type 2 diabetes with some simple steps. The resources on this page can help you learn how. Staying at a healthy weight can help you prevent and manage problems like prediabetes, type 2 diabetes, heart disease, high blood pressure and unhealthy cholesterol. 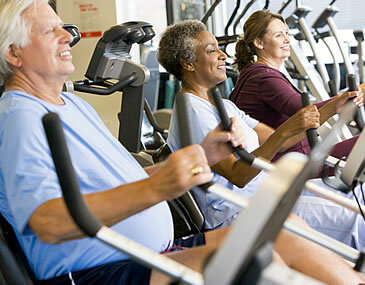 Physical activity can do a lot for your health, even if you haven’t been very active lately. Making just a few small changes can have make a big impact on your weight and health. Learn how to make these changes step-by-step. Managing your blood glucose (sugar) can help you prevent and manage type 2 diabetes. High blood pressure raises your risk for heart disease, stroke, and other problems. Managing blood pressure can help prevent these problems. Unhealthy cholesterol levels can raise your risk for type 2 diabetes and heart disease. There are some things that affect your risk that you can't change. Being aware of them can help you take smart steps to lower your risk. If you've had gestational diabetes, you’re at higher risk of it in future pregnancies and of type 2 diabetes later in life. Smoking causes a lot of problems in your body and can raise your risk of heart attack or stroke. Type 2 diabetes and certain cancers share many risk factors. Lower your risk for both.